Our turn key direct mail is direct mail that works and get the best price, guaranteed! Full service, creative design, print, mail‎, targeted lists, PURL's, free tracking and we guarantee that you are getting the best possible price for the fulfillment of your mail campaign. Ready to start saving, read on. If you are presently sending mail on a regular basis, or if you are just starting out, we can save you money. We will guarantee that we will beat your current per piece price point by at least .02 cents per mailer. So let's do some math, lets say over the course of a year you are mailing 500,000 mailers. 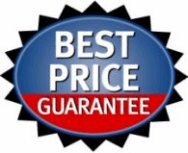 With our Price Beat Guarantee, we just saved you $10,000 per year and thats only if we only save you .02 cents per mailer, of course if we can save you more, your savings are even larger than that! Direct marketing experts agree that the list you use in your direct mail campaign is 40% responsible for the success of your campaign. 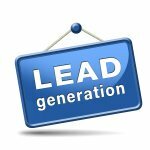 Since we are professionals at pulling fresh targeted data and lists, you can be assured that your mail campaign will get the best traction possible increasing your ROI. Begin Saving On Your Next Mail Campaign! It's simple to start saving money now. Just send us a copy of your last invoice and we will let you know how much we will be able to save you. We will guarantee you at least a .02 per mailer savings but your savings could be much more! Our turn around time is extremely fast! Send your order to us on a Monday and have it in the mail by Wednesday. Our staff is considerate and professional, plus we are a full service company covering all the bases that you will ever need. We will help your bottom line!